Dexcom, manufacturer of one of the most widely used continuous glucose monitoring systems, has officially recalled its G4 and G5 Platinum systems. This follows notification of users by certified letter that alerts for high or low bg levels may not be heard. The letter pointed to speaker malfunction as the problem and promised to have the problem fixed soon. I know for a fact, however, that speakers are NOT the problem. Two months ago, I woke at 4am to multiple alerts on my phone–two hours of them, in fact. I was shocked that I had slept through them–I’m a light sleeper and that was a lot of alerts, one every five minutes for two hours! I was doubtful, so I called Dexcom. They were super professional and concerned, but they did what I feared they would. They suggested I slept through the alerts. Two weeks later, I received the first of two certified letters informing that I was not alone. There had been hundreds of calls similar to mine–people weren’t “hearing” alerts. Dexcom suggested the speakers were malfunctioning and promised to fix the problem. I was doubtful. I rely on the Dexcom Share app–an app that works through the cloud to send BG readings to my phone. It is one thing if the Dexcom receiver speakers don’t work, but that should not affect the alarm on my phone app. The phone app alarms operate independently from the receiver my son carries with him. For instance, my son can have his receiver set to alarm when his BG drops below 80, but I can set my phone app to alarm at, say, 90 mg/dL. So even if the speaker is broken on his receiver, my phone app should sound an alarm regardless. I am convinced it didn’t do so the night I describe above, and I know it did not sound an alarm on March 14. I was in my office with my phone sitting on my desk when I noticed the text alert pop up on my iPhone. No audible alarm, though. I called school and spoke to my son. His receiver said 72, but he never heard the low BG alarm. Houston, we have a problem and it isn’t the speakers. According to denizens of individuals on discussion boards, it seems these problems started occurring immediately after a software update. I can only hope Dexcom addresses the real issue and doesn’t go the route Toyota did when it had an acceleration problem caused by a flaw in software, but instead spent millions of dollars replacing drivers’ floor mats. Time will tell. In the meantime, we will use our Dexcom and set our clock alarm every couple of hours to ensure my son’s BG doesn’t go low overnight. For more info on reported problems with the Dexcom G4 and G5 receivers, read here. This morning, I was awakened at 7:10 by my iPhone. It wasn’t my alarm clock; it wasn’t a text. It was my Dexcom Follow app telling me my son’s BG had been under 90 mg/dL for 30 minutes and he needed to treat his low blood glucose levels. The Dexcom is a Continuous Glucose Monitor that operates by inserting a wire-like sensor under the skin to detect BG levels. It sends a BG reading to a wireless receiver every five minutes. Share is a new program that enables the Dexcom receiver to send the BG readings to an iPhone via Bluetooth. The wearer’s iPhone runs the Dexcom Share app which sends the readings to iCloud, and my app, Dexcom Follow, grabs those readings 24/7. The Follow app comes with two alarm settings–one alerts after the main user’s BG is under a certain number for more than 30 minutes, and the other, an emergency alarm, alerts immediately when the BG falls below a certain number. The defaults for each are 70mg/dL and 55mg/dL, but I changed my settings to higher numbers for peace of mind. The alarm this morning demonstrates why I LOVE the new Share program. My son does not wake when his BG is low, nor does he hear the alarm on his Dexcom, which is set to alert at night as soon as he goes below 90mg/dL. I am able to sleep soundly knowing that my phone app will sound an alarm if my son is not treating his low BG. So far, the app has alarmed twice–this morning and last weekend when my son was at a sleep over (his first since diagnosis in 2013!). On that occasion, I telephoned the host’s parents (at 5:30 AM 😒) and they woke my son and gave him juice. Both times, Share intervened before my son dropped to dangerously low BG levels. Medical technology at its best! The app has operated without a hitch for the most part. When we first started using Share three weeks ago, there were a few times when iCloud or Follow lost the readings, but that issue seems to have been addressed with the most recent system upgrade (note this was not an app upgrade, but a service upgrade that resulted in Share being down for several hours during the day). We received notification via email that the service would be down for six hours two days before it happened. At first I was annoyed the upgrade was happening during the day, until I remembered that the real value for users and their followers is probably at night, so yeah…thanks for being on top of it, Dexcom! The upgrade took less than the anticipated 6hours and service resumed without us having to do anything. The other issues we’ve encountered have been primarily with the Dexcom, not Share, and my son’s youth. BGs in children can drop quickly, really quickly, like 5+mg/dL per minute. The Dexcom can detect readings dropping 3+mg/dL but it really cannot keep up with faster drop rates. So when my son is dropping 30 points in five minutes, the Dexcom loses accuracy. Dexcom is aware of this, but there’s not much to be done until the technology improves. In fact, every time we insert a new sensor (every week), our new receiver that supports Share flashes a warning that in Pediatric trials, Dexcom caught fewer than half the low BGs. This is why we’ve set alarms at higher numbers, and it seems to work for us. 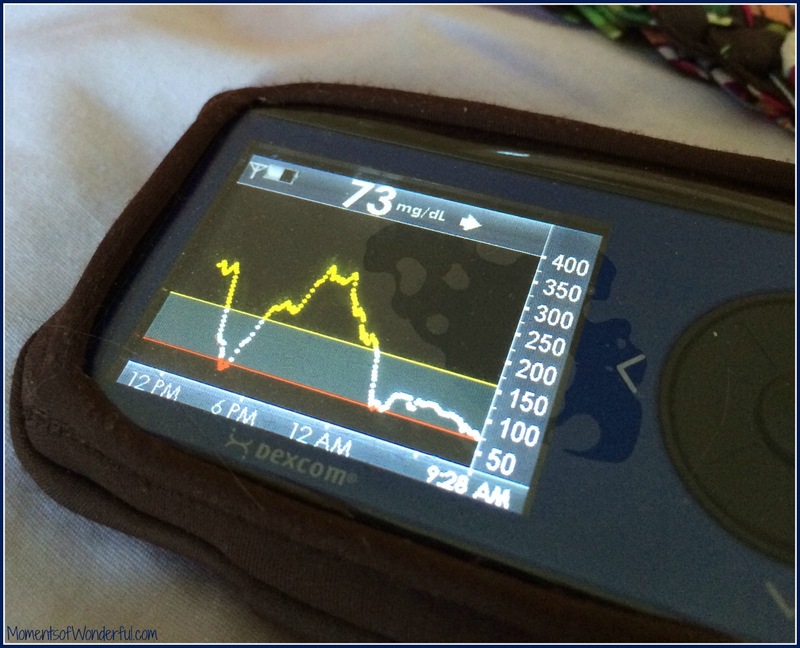 The Dexcom catches more of my son’s lows than it misses–though it does miss lows weekly–but it is still worth it, especially now that Share is available. Pricing for Share varies based on insurance. If you are getting a Dexcom for the first time, the receiver that supports Share is included and will set you back a bit over $1000 plus the cost of the transmitter and receivers. The entire package is close to $5,000 but most insurance companies will cover a portion. After insurance, we paid a little over $800 for the receiver (prior to release of Share), the transmitter, and a three month supply of sensors when we first got the Dexcom a year ago. When we upgraded to the receiver with Share last month, we were eligible for a reduced price of $199–this was not covered by insurance, which will replace a receiver once every 3-4 years only. If you want to upgrade your old receiver, watch the Dexcom website for special promotional offers through the summer. Note this is an unsponsored, unsolicited review. 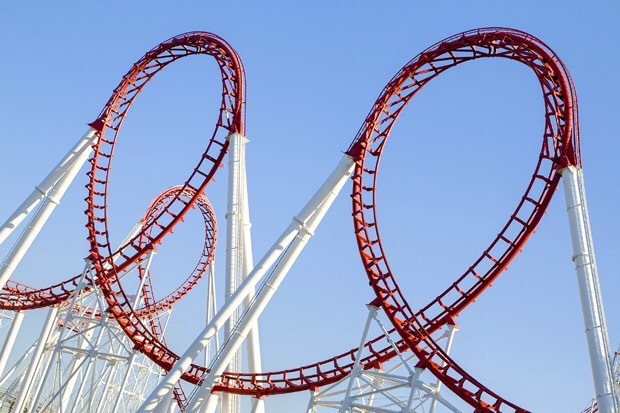 Sometimes, my son’s Dexcom BG tracking looks a bit like a roller coaster with lots of highs and lows. Yesterday, the FDA approved Dexcom Share, a charging cradle for its CGM that uses Bluetooth to send real-time blood glucose reading to smart phones. This is the first innovation that enables parents and caregivers to monitor blood glucose from afar. My son is excited because this will enable him to sleep over at a friend’s house, something he’s not been able to do since his diagnosis last year. The Dexcom Share also means we can finally ditch the baby monitor at night! I continue to be amazed at how dedicated the medical and scientific research communities are to improving the lives of children with diabetes (cwd) and to finding a cure.